The Mahoney Funeral Home was established in 1923. The funeral home has been family owned and operated since that time. 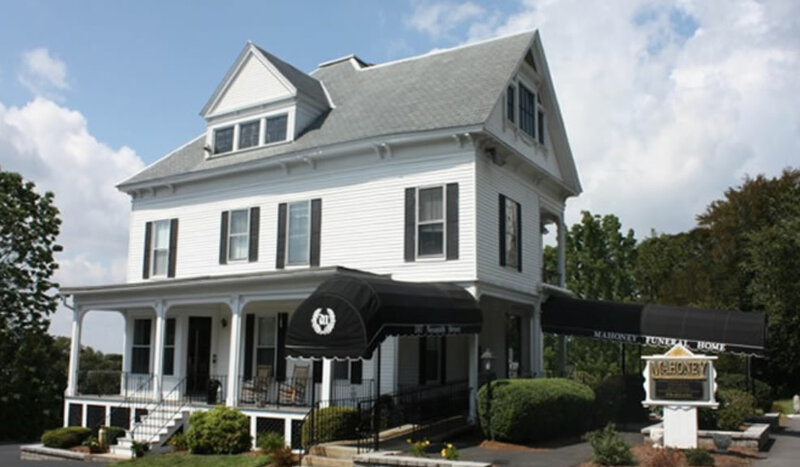 The Mahoney/McNamee family owned and operated the funeral home from 1923 until 2011 when the McDonough family assumed ownership of Mahoney Funeral Home.We are still working on the consolidation of the Mahoney, McNamee and McDonough family histories, but would like to provide some information for those who are interested in the future of The Mahoney Funeral Home.In 2011 the funeral home was renovated including handicapped accessible bathrooms, wallpaper, carpeting, lighting, artwork, furniture , etc. On the outside of the building, the entire Porter Street side of the facility was altered to accommodate handicapped parking. We also added a large handicapped accessible ramp and a stone retaining wall encompassing the entire area. We would like to take this opportunity to thank the Mahoney/McNamee family for entrusting us with the continuation of a long family tradition of honest, caring and personal funeral service. We are very proud to have remained family owned and operated since 1923 and will remain so indefinitely. We feel that this is important to mention because the funeral home profession has become increasingly corporate over the past few years. We understand that placing your trust in us to take care of someone you love is not an easy decision to make. We want you to know that you are placing that trust in the hands of a family that has been serving the families of greater Lowell for over 130 years. We hope you know that serving the families who entrust us to care for their loved one is sacred to us and we will continue to work towards deserving that trust every day. If you have any questions or concerns please don’t hesitate to call us at The Mahoney Funeral Home at 978-452-6361 at any time. Thanks for checking in, we are currently working on writing a detailed history including photos, so check back in soon. 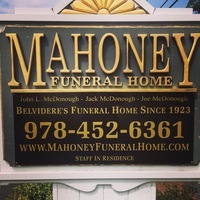 We are honored to continue a combined tradition, between the Mahoney’s, McNamee’s and McDonough’s, of over 220 years of experience providing meaningful funerals for the families of Lowell, thank you for allowing us that sincere privilege.